CANADA: Northland Power's sales and earnings increased in the first half of the year due to higher production from newly commissioned offshore wind farms. Its H1 sales increased 5% year-on-year to C$338.2 million (US$259 million), while its earnings before interest, tax, depreciation and amortisation (Ebitda) grew 9% to C$183 million. The Canadian developer stated this was primarily due to generation from the 332MW Nordsee One project, of which it owns 85% and which began full commercial operations in December 2017, and higher production at its solar facilities. These changes were partially offset by lower wind resources in the North Sea — where the 600MW Gemini wind farm, of which it owns 60%, is situated — it added. Northland Power’s assets produced 4,117GWh between 1 January, 2018 and 30 June — a 23% increase on output in the corresponding period 12 months earlier. In April and June, Northland Power, along with the Taiwanese branch of developer Yushan Energy, secured a total of 1,044MW of capacity for its Hai Long 2 and Hai Long 3 projects in the country’s first offshore procurement rounds. The Canadian company also announced the retirement of its CEO John Brace after 30 years with Northland in May. He was replaced by executive vice president of development, Mike Crawley, on 4 August. Northland also entered into a C$1.25 billion (US$957 million) corporate credit facility with a syndicate of financial institutions in June. It did this to "fund development opportunities and acquisitions, provide letters of credit to secure obligations that would otherwise be funded in cash, and for general corporate purposes including working capital", it stated. 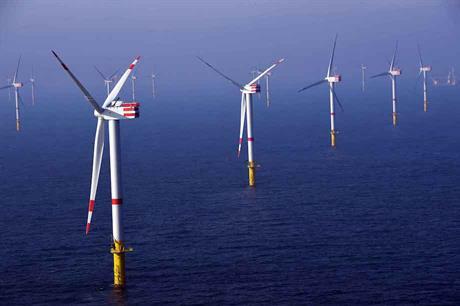 The developer added that its 269MW Deutsche Bucht wind farm in the German North Sea is "progressing according to schedule and on budget". Installation of the foundation structures is due to start in the third quarter of 2018 and project completion is expected by the end of 2019, it added.